This is part of a three-part blog Soil Carbon Curious series powered by our partners at Elemental Excelerator. 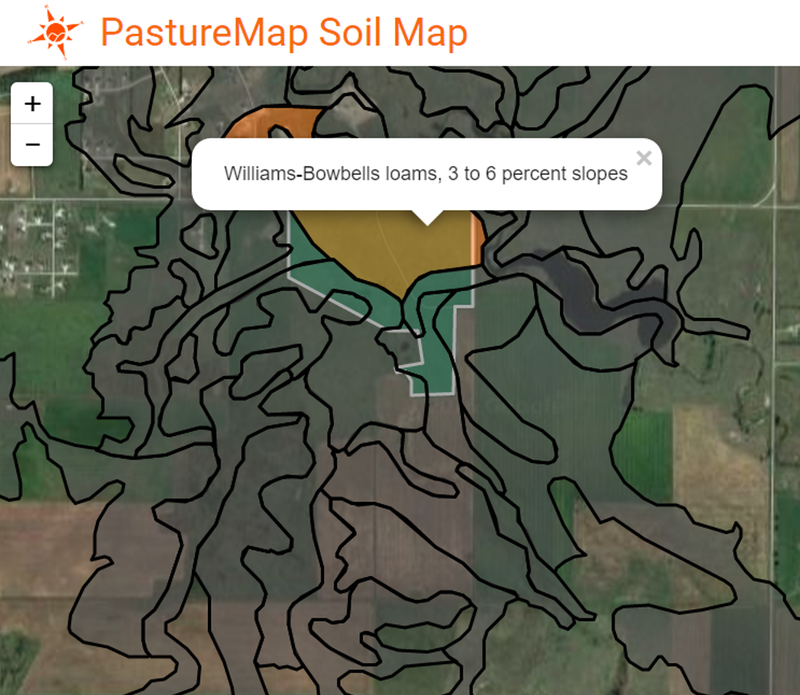 Along with this educational series, PastureMap is working with Point Blue Conservation Science to integrate soil health data from California ranchers into the PastureMap platform. It’s no secret that we’re soil carbon curious at PastureMap. Soil carbon represents a massive opportunity to help farmers and ranchers improve the health of their grasslands and sequester carbon. According to Project Drawdown, managed grazing and silvopasture practices have the potential to sequester over 47 gigatons of carbon by 2050. Better grazing management also makes farmers more profitable. Healthy soil improves water holding capacity, which helps your land make the most of rainfall. Healthy soil life increases the land’s natural productivity, reducing input costs, and improving profitability. How alive is my soil? Soil health is about a lot more than simply carbon. Dr. Elaine Ingham describes the soil ecosystem as a healthy soil food web. The healthiest soil is alive—it supports a lot of life and cycles nutrients quickly to make nutrients available for other life. Soil that has a lot of life below ground supports a lot of life above ground. Healthy soil is a great sink of carbon, and it stores more than it cycles because it is alive. There are simple, low-cost soil health tests farmers can do themselves without a lab. Tea Bag Test. Bury green tea and rooibos tea bags 8cm deep and excavate them at regular intervals, at 4, 7, 14, 30, 68 and 130 days. Dry the tea bags at 140F and measure how much mass is remaining after these intervals. The less mass remains, the more microbial activity and healthy living soil is. What to look for in healthy soil: Easy to work, porous with a variety of aggregated crumbles, absorbs water readily, the consistency of crumbly chocolate cake. Earthworms and plenty of castings are a great indicator of soil life. What’s the relationship between soil organic matter and soil carbon? All organic matter in soil comes from living things. These could be dead or decomposing plants, animals, or insects. The amount of organic matter in soil helps increase a landscape’s drought tolerance, water holding capacity, nutrients available for plant growth, and carbon storage. According to the USDA-NRCS, 1% additional organic matter holds 20,000 more gallons of water per acre. Soil organic matter is about half carbon, so the more organic matter is in soil, the more carbon stocks are also in the soil. Carbon stocks are not static—they are part of a lifecycle. The earth is breathing. We are starting to measure soil life instead of merely the soil’s chemical composition. Beyond the conventional NPK soil test, there is an emerging array of soil tests for organic matter, carbon, bacteria, fungal ratios, DNA tests, and more. We talked to dozens of regenerative experts and collected a list of some of the best available biological soil testing services available today. Point Blue Conservation Science has taken soil samples from 85 ranches around Northern California since 2015. They have also built an open-source handbook, collection forms, and data protocols allowing any research team to take consistent soil health tests measuring water infiltration, bulk density, and 54 other indicators. PastureMap is working with Point Blue to integrate soil health data from California ranchers into the PastureMap platform. Peter Donovan at the Soil Carbon Coalition has developed a sampling methodology for taking soil carbon samples. Under the Soil Carbon Challenge, anyone can use these methods and upload their soil data results into Atlas BioWork, an open source platform. So far 300 farms have participated in the Soil Carbon Challenge in partnership with Peter Donovan. Soil Foodweb Inc. directed by Dr. Elaine Ingham, offers several regional soil laboratories that test for soil life and provide consulting services about biological health of the soil. Solvita- CO2 Burst. This methodology takes dried soils and performs a “re-wetting” process to measure CO2 respiration to measure microbial activity in the soil. Uses water to measure how much organic carbon and organic nitrogen can be extracted (usable by plants), a carbon:nitrogen ratio. All of this indicates how much nutrient can be easily broken down by microbes to be used by plants. Based on these factors, an overall soil health calculation from 0 to 50 is given. Stefan Gailans is the research and field crops director at Practical Farmers of Iowa and has been working with crop farmers to amass soil health data over several years. PFI has been encouraging farmers to conduct both the "tea bag" test and send in soil samples for the Solvita- CO2 Burst analysis. QuickCarbon. A handheld soil reflectometer technology developed by Yale School of Forestry - Ucross High Plains research team. It uses spectral imaging from a pocket handheld device, a phone app, and a power drill to quickly sample a large number of soils samples. The Yale team then builds a model using the collected data set and a few of the actual soil samples sent to a lab to calibrate the samples. The end result is a visual “tapestry” of the soil carbon stocks on your land. PLFA Test by Ward Laboratories. This method was recommended to us by extension and researchers at the University of Nebraska. This is a gas chromatography test that breaks down identifiable organic matter like bacteria and fungi ratio. It also identifies signature fatty acids to create a snapshot of what kinds of microbial communities exist in your soil at that time—e.g. surface litter eating fungi vs mycorrhizal fungi. Quorum sensing is one of the of the most exciting frontiers of soil microbial research. This TED talk about how bacteria talk to each other and can switch on (quorum) or off (quenching) biological activities based on signals sent to each other. The leading practitioner of quorum sensing and quenching on soil health we know is Nicole Masters of Integrity Soils. We are not currently aware of any quorum sensing soil testing labs that offer commercial services. Please let us know if there is one! LandStream - this is a combination of underground flow sensors that can detect watershed health and create a 3 dimensional map of water and soil health down to 4 meters. Abe Collins is the founder of LandStream and is currently piloting it at Gabe Brown’s ranch. Trace Genomics. This California-based soil testing lab uses DNA to assess pathogens, fungal and bacterial biodiversity, mycorrhizal fungi, and plant growth promoting bacteria. SectorMentor is a soil health monitoring software app based out of the UK. It comes with guidance on how farmers can do soil tests in the field, and the mobile app allows farmers to capture data and photos on a variety of soil heath tests. Know any tests that should be on on this list? Contact us or comment below.